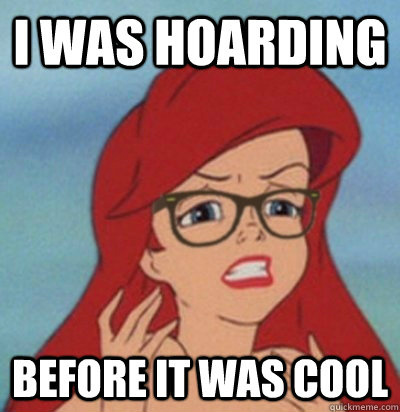 Is hoarding really a psychological problem? Read this story and then decide for yourself. My husband and I make quite a pair. I’m a clutter bug and he’s a pack rat. I don’t mind throwing things away though, whereas he has a problem discarding things. If he comes into the house and sees that I’ve cleaned something or an area, the first thing he does is goes through the trash to see what I’ve thrown away. He will dig down to the bottom of the bin because in his mind, I would be just sneaky enough to put it at the bottom where he wouldn’t see it. When my fry daddy broke, my husband set it on the counter with intentions of fixing it. Of course, I knew that would never happen so I went to my daughter and asked her to get a new one for me for Christmas. My theory was if we had a new one, he could throw the old one away. Wrong! It continued to sit on my counter for another six months. I finally asked my son to take it out to his truck one night and throw it away the next time he went to work. He did. A year later, I said something to my husband about it and he became very angry. He was not angry that I threw it out so much as I went behind his back and snuck it out of the house. That is what bothered him. Now he gets really anxious about his things. I often wonder if he makes a mental log of items around the house because the first thing he does when he cannot find something is ask me if I threw it away and he doesn’t always ask me nicely, either.